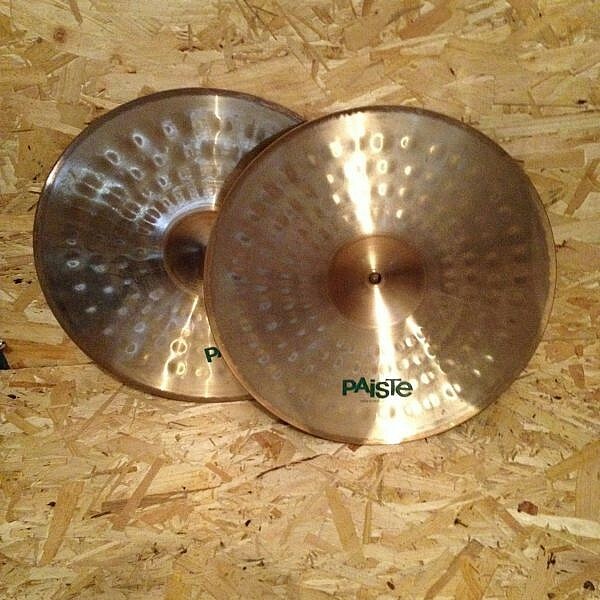 These Vintage Paiste 1000 14″ Heavy Hi Hats date from between 1986 and 1992. Very good condition for the age, green logos still present. 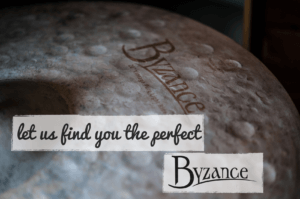 Top cymbal weighs aprox. 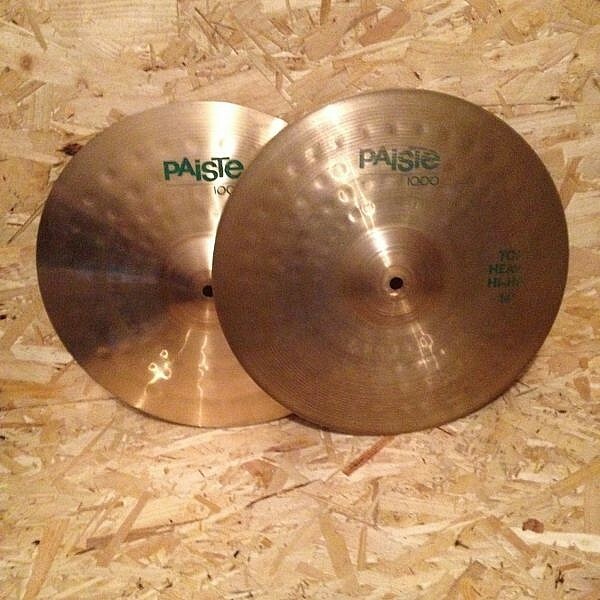 975g, bottom cymbal weighs aprox. 1,086g.